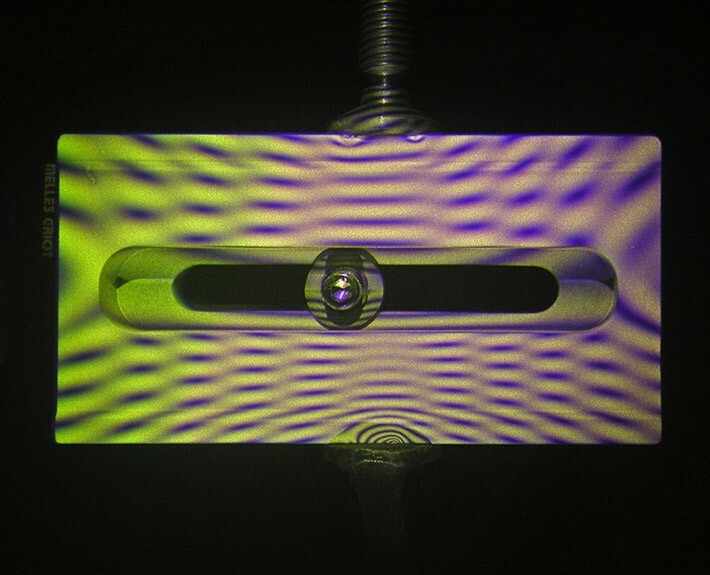 This hologram shows a thick piece of aluminium under pressure from a G-clamp. This is another example of Holographic Interferometry. It shows microscopic changes in the shape of an object. Ideal for testing mechanical parts that will be subject to significant forces, such as turbine blades.